Apartment on the second floor of the popular Falling Waters on Davis Blvd. Close to the pool and clubhouse - a three minute walk! The pool is one of the largest and most beautiful in Southwest Florida. The apartment has a view of the lake from one balcony and from the second towards the front of the house. The master bedroom has a beautiful new king size bed and the other two single beds. The living room has a sofa bed, so a total of 6 beds. There are two bathrooms with shower or bath / shower. A large walk in closet and wardrobe with plenty of storage. The kitchen is well equipped with a large refrigerator with ice maker, stove with self cleaning oven, dishwasher, microwave, utensils, dishes, coffee maker, toaster and kettle. The apartment is fully air-conditioned and equipped with lounge chairs for your enjoyment. The clubhouse has a library and many social activities (ie fitness classes, community dinners, short nights, etc.) that will continue throughout the year. There are tennis courts and bocce plan. In front of the apartment there are two parking spaces. 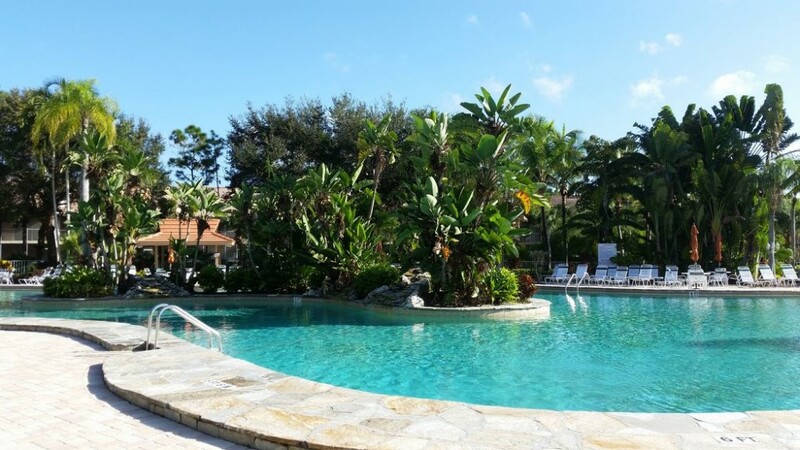 It is close to Naples beautiful beaches and numerous golf courses. Cancellation and/or early termination: If cancelled prior to 4 months before arrival date forfeiture of the 20% deposit If cancelled during the 3rd month before arrival date forfeiture 50% of the rent amount is due If cancelled during the 2nd month before arrival date forfeiture 70% of the rent amount is due If cancelled 30 days or less before the arrival date forfeiture 100% of the rent amount is due Application fee $100* Approximate monthly rate. Actual rate will depend on the days of the month you stay.